It’s back, but it’s different this time. Well, sorta different. And you may be affected by it in all kinds of ways. The new sub-prime economy is a direct result of the catastrophic financial ruin caused by the old sub-prime mortgage crisis. Wall Street’s biggest money has figured out how to profit off of people deep in debt and unable to climb out because of the still-limping economy. So, after pushing people to the margins with exotic financial instruments, Wall Street is now profiting off the increasingly marginal existence of many Americans. With more and more people renting their homes, the median household now 20% poorer today than it was in 1984, and almost half of all Americans now living paycheck to paycheck, the sub-prime economy has shifted away from big-ticket mortgages to profiting off the banalities of everyday life. The numbers don’t lie: 35% of Americans—roughly 77 million people—have an outstanding debt currently being pursued by a collection agency, according to a new study by the Urban Institute. 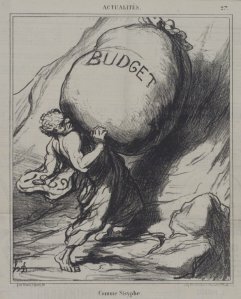 Although the individual amounts of delinquent debt range from as little as $25 to over $125,000, the national average is a staggering $5,178. That’s a lot of bad debt in the system, and there are rich pickings in all of it. Maybe that’s why the study was funded by Encore Capital Group—the country’s largest publicly-traded buyer of defaulted debt—and co-authored by its very own think-tank, the Consumer Credit Research Institute. The latter, founded in 2011, describes its work as a “ground-breaking effort to develop new knowledge about low- and moderate-income consumers” using techniques borrowed from economics, statistics and psychology. The first go-round on the subprime roulette wheel was fueled primarily by the post-9/11 “go-go” housing boom. The middlemen of Manhattan systematically used predatory lending to ensnare hundreds of thousands of hopeful American Dreamers into an adjustable-rate, no-money-down, balloon-payment nightmare. So they made money handing out subprime mortgages like Halloween candy, bundled that risky, unsustainable debt into exotic financial instruments, and profited again by betting they’d fail. But that was then, and things are supposed to be different now, right? Now the financial system is supposed to be chastened. It is, according to its staunchest critics, wholly and restrictively regulated by Dodd-Frank. In fact, Dodd-Frank is so restrictive, they say, that it has impeded the “recovery” and needs to be loosened. That’s despite the fact that many key rules still haven’t been written and despite the omnipresence of corporate banking interests at every step of the rulemaking process. Things are different now. This new sub-prime bubble is not being inflated by predatory lenders targeting would-be homeowners. Even though the real estate market is improving in places like San Francisco, New York and Washington, D.C., homeownership is at a 19-year low, with more people opting to rent because of tighter finances. Well-positioned hedge funds gobbled up tens of thousands of homes left vacant by the bursting mortgage bubble. Sometimes entire neighborhoods were purchased by those firms, who—unlike Lehman Brothers—were not broken by the crash. Like JP Morgan hoarding the devalued financial assets of its failed competitors, hedge funds saw the sudden surge in low-cost real estate as a buying opportunity. The Blackstone Group—one of the world’s largest hedge funds—went on a two-year buying spree that transformed it into “America’s largest landlord” with over 40,000 houses in its profitable inventory. And that’s where bad debt is accumulating—in the day-to-day struggle to make ends meet. A good example of the financial jeopardy many face is in Detroit. 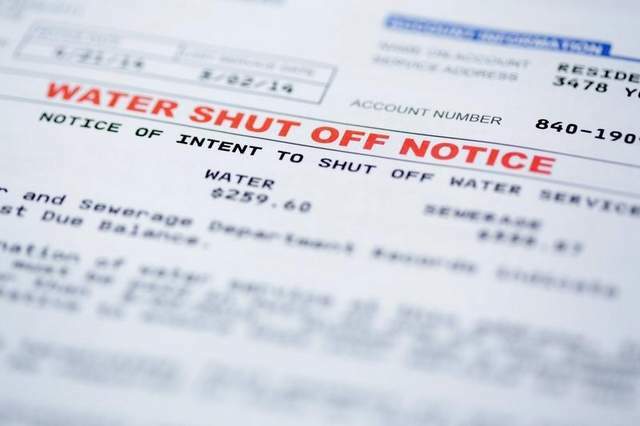 That’s where the median household income is less than half the national average—and where tens of thousands couldn’t afford to pay their water bills. The bankrupted city decided to do something about chronic delinquencies—they began shutting off people’s water. 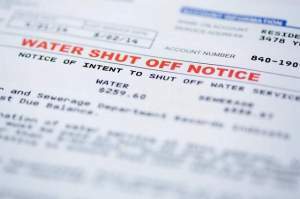 As the pace of the shut-offs sped up, the city paid $6 million to a private contractor to make sure the taps ran dry. So far, some 100,000 have been without water at times. And what a yield lending to subprime customers earns. The “Payday Loan” industry still gets away with interest rates as high as 700 percent, a story WhoWhatWhy reported in March. That kind of loan puts many people into a modern form of sharecropping, accruing debt faster than they can pay it off. The $3 billion-a-year industry is finally being scrutinized by federal regulators at the Consumer Financial Protection Bureau. Even so, the underlying business model is being profitably recycled. Take, for example, the entry of banks and private equity firms into the used car business. They identify distressed and marginal candidates for risky, high-interest loans on cars that all too often end up being lemons, according to the New York Times. After searching for potential customers with low credit scores, banks like Capital One and Wells Fargo work with dealers who send them “certificates” redeemable for a “no credit, no problem” loan. That traps the less financially savvy customers into long-term loans that eventually triple or quadruple the cost of the car—or worse. 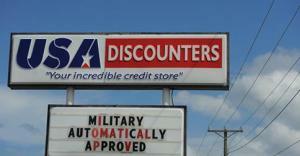 A little-known company called USA Discounters has opened another front of the high-interest assault, targeting the rank and file of the U.S. military. USA Discounters leverages the low-wage position of active-duty military families into high-yield loans for mundane household items like TVs and washers and dryers. Despite their name, the company sometimes charges double the normal retail price for items, and gives customers credit on terms that can quickly turn unfavorable. And that’s really what the subprime economy is now—easy money at the lowerend of America’s wealth gap. And the lower end is growing.